Before embarking on any lighting modifications or an upgrade, it is critical to conduct a comprehensive lighting audit. 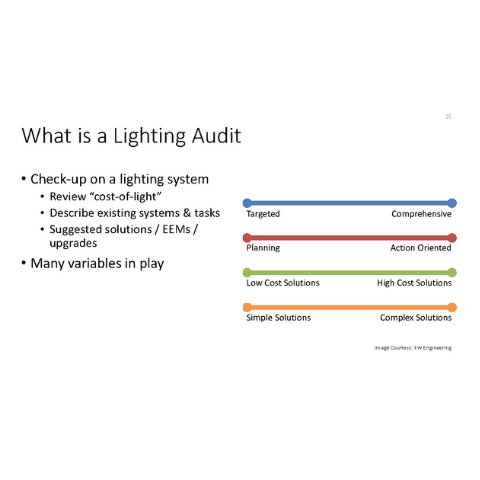 Energy service companies, architects, lighting designers, and engineering firms can conduct lighting audits. They can also be done by qualified internal staff or maintenance engineers. This new 2-day, updated and expanded interactive class will cover how to conduct a preliminary energy audit of lighting usage, including outdoor spaces. Hands-on exercises will include documenting the number and type of fixtures in use, their light sources (and lamp type/model/wattage), the light levels in various areas, how long the fixtures are on per day (and variations during weekends), and what controls are in use. Participants will also learn to note the placement and light distribution of fixtures and suggest changes if needed. The class will also demonstrate how an audit also helps to identify the types and quantity of devices not connected to any control systems, and how to determine whether they should be. Participants will also learn how to use the results from the audit to assess the savings potential of various efficiency measures so that they can be properly considered before implementation. Measuring energy savings has become an expected skill for a wide range of building professionals, from energy consultants to stationary engineers. This full-day training will explore the International Performance Measurement and Verification Protocol (IPMVP), which is the gold standard for M&V procedures in the energy efficiency industry. The course will provide an overview of M&V, define key terms, and review its key concepts. It will present and discuss M&V Options A, B, C, and D as defined in IPMVP, and review example savings calculations for each option. The training will also include in-class exercises where the class participants will apply the different M&V options by calculating energy savings for a variety of project scenarios. This training will be taught by David Jump of kW Engineering. David is a long-standing member of the IPMVP Committee and a major contributor to this protocol. 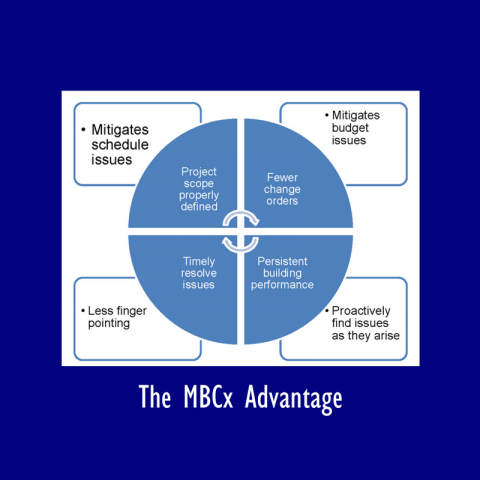 He presents a cost-effective approach to EBCx and developing a prioritized migration strategy for controls upgrade, using analytics to serve as a framework that Owners and facility managers can use to justify a controls modernization project. Using analytics on the onset of any controls modernization project enables control system migrations to happen at the Owner’s pace, allowing new controllers to be strategically integrated with existing equipment. This allows organizations to develop migration strategies and prioritize controls upgrades without having to “rip and replace” their entire hardware and software systems. Jim presents on a panel discussion with industry experts on NMEC as an emerging programmatic approach. Specifically, he’s speaking to the approach and discussing market and regulatory barriers to adoption. Things are changing in the world of lab benchmarking. New studies are paving the way for fairer, more useful approaches to assessing lab building performance, and the 16-year-old Labs21 Benchmarking Tool is finally being retired. 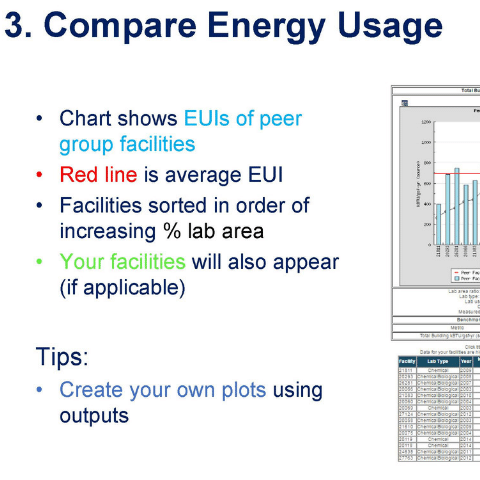 I2SL and LBNL are working together to create a new, improved, modern lab benchmarking tool to better serve the lab community. The new tool is due to be released in early 2019. By the time of the conference, the team will have completed a draft design of the new user experience and benchmarking database. In this special session, we’ll offer a sneak preview of the new tool, we’ll explain the reasoning behind the new features, and we’ll hold a mini design charrette for attendees to provide feedback to make sure our industry’s needs are met. This 1 day class will combine interactive classroom lessons with hands on training using a state-of-the-art rooftop unit built specifically for training purposes. We will discuss the importance of indoor air quality, ventilation requirements, and energy savings in order to provide a background for our analysis of economizers. The class will dive into the details of how an economizer works and how technicians can diagnose problems in the field. Finally, we will discuss best practices for economizer component selection and installation. An overview of the SDG&E and SCE co-funded installation of Axiom Exergy’s TES system at a grocery store in Escondido, California. James introduces attendees to the concept of trend reviews and provide general guidance for conducting a trend review. The presentation makes use of trend data examples from a recent DDC control upgrade project using Universal Translator 3. James covers the key criteria for a successful lighting retrofit. 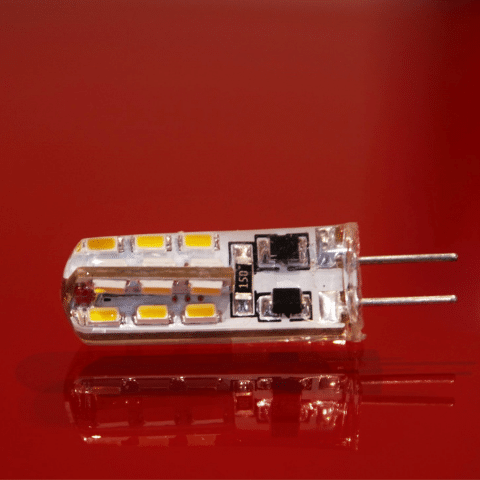 The focus will be on LED lighting products, but the principals are applicable for other lighting technologies. 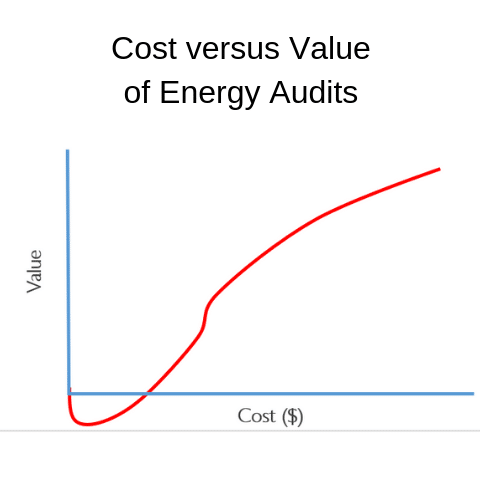 The business of performing energy audits has long lacked any regulation or standardization of approaches. What makes an energy audit acceptable, good, or great has been the subject of much discussion and debate. And what are considered best practices in the field has been akin to an oral tradition, where practitioners in the field pass knowledge and approaches from person to person. Jim shares the results of the development of the first true industry standard, describes some of the contentious issues encountered, and summarizes what the energy auditing community agreed upon for the requirements of Level 1, 2 and 3 energy audits outlined in Standard 211. 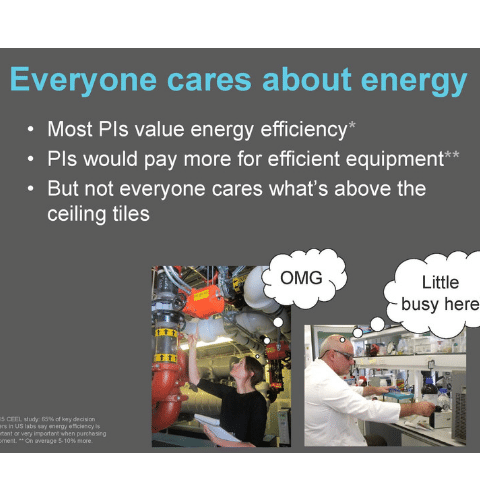 Significant energy savings can be achieved by turning off HVAC when spaces are unoccupied. In the past, carbon dioxide was used as a proxy for occupancy, but energy savings only made sense for high occupancy spaces with transient use (e.g. conference rooms). 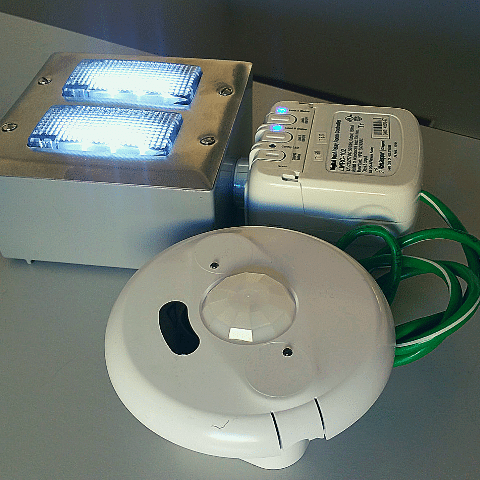 With the ubiquity of lighting controls, facilitated by Title 24-2013, turning off HVAC systems with a signal from the occupancy sensor is becoming the trendy way to save energy in advanced buildings. But just because you can use them doesn’t mean it’s the right thing to do. Inadequate detailing and specifications, poor coordination between trades, and a siloed maintenance team are but some of the torpedoes that will sink the grand vision of an integrated system. Lyn will share views on the advantages and disadvantages – including huge implications for maintenance – of four different ways to implement occupancy based ventilation on your projects. This presentation includes examples of the challenges and complexities encountered when designing and building integrated systems. Solutions based on real-world experience in implementing advanced lighting controls projects and integrating them into HVAC control systems will also be included. 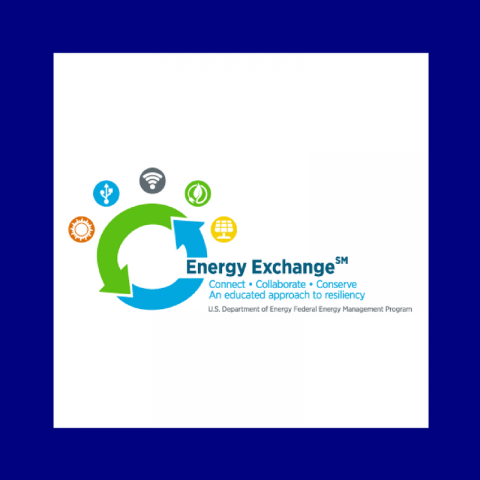 Historically, energy efficiency incentives for lighting products have focused on incremental technology improvements using lamps and ballasts; however, evaluating retrofit projects through the lens of incremental component upgrades may ignore further opportunities for improvements. These opportunities extend beyond lamps and ballasts to include luminaires, advanced lighting controls systems, design expertise, reflectances, space geometry, and workplace design as well as consideration of project location, building orientation, and available daylight. 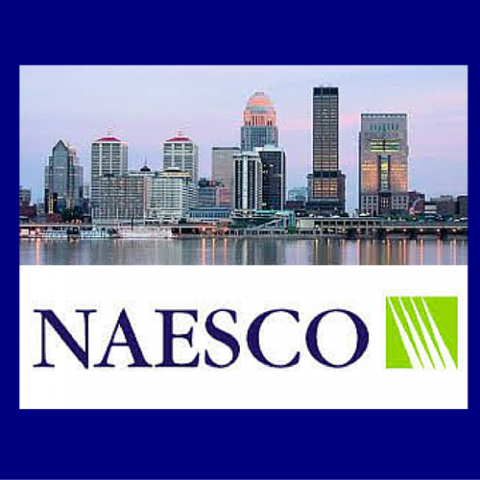 This comprehensive approach to evaluating all of the energy efficiency tactics while also delivering lighting quality in keeping with the Illuminating Engineering Society (IESNA) standards is the basis of this Best Practices for Lighting Retrofits class. 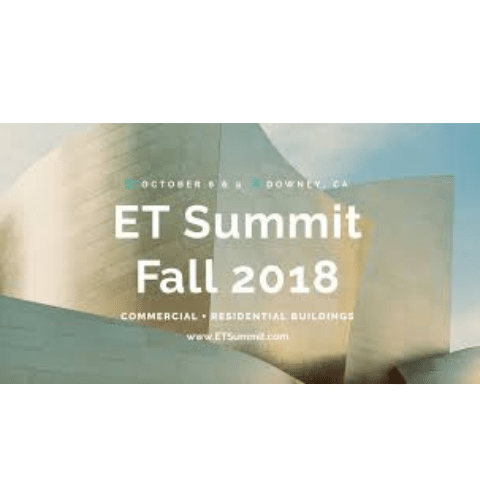 The information presented will be relevant to existing buildings as well as new construction and solutions presented will go beyond simple component retrofit solutions to include solutions with new fixtures and controls for deeper energy savings. Many of the professionals that are responsible for lighting do not practice solely as lighting experts, therefore, this class will offer energy efficient lighting approaches and useful templates for typical spaces and conditions. This class is intended to serve as a starting point for those professionals who otherwise may not consider options such as using new fixtures and controls. This class will be beneficial for owners and tenants considering lighting improvements, architects, engineers, lighting suppliers, lighting manufacturers, electrical contractors, electrical distributors, and energy program managers. This six hour course will introduce four Advanced Lighting Control Systems to the participants via collaborative activities presented by an independent electrical engineer and a commissioning professional. 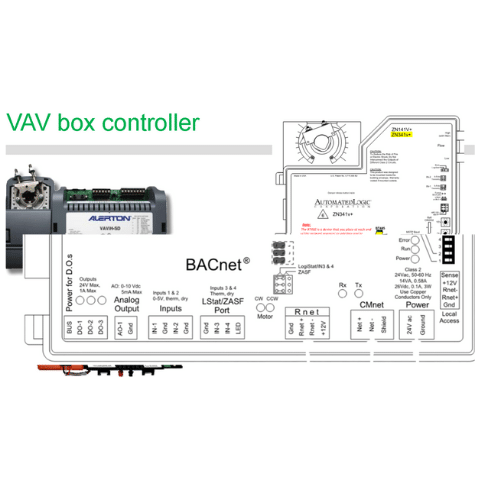 The ‘hands-on’ demonstrations include wired and wireless, 0-10V dimming, single function sensors and multi-function sensors, and room based and network based systems. Major lighting control strategies and dimming technologies will also be presented. This class is intended for lighting designers, architects, engineers, contractors, commissioning professionals, acceptance testers, developers and building owners who would like to get their hands on real products, and who may be involved in the design, specification, construction, installation, commissioning, and operation of Advanced Lighting Control Systems. The intention of this three-day workshop is to develop the energy auditing skills of individuals associated with small-and medium-sized (under 500 kW) commercial facilities. We will provide an overview of building technologies with an emphasis on distinguishing older, inefficient equipment from newer efficient systems. In-class exercises and a mock-audit at the end of the last day will allow the attendees to apply what they have learned. Though geared to the non-experts, attendees should have a fundamental understanding of building components and energy concepts. New Offering!!! Statewide energy savings goals are depending more and more on the optimization of our existing buildings through low-cost measures. Many of these projects originate from the control systems we use to manage the operation of our HVAC and lighting equipment. This class will explore common control strategies including schedules, setbacks, resets, lockouts, vacancy controllers, demand control ventilation, CO controllers, economizer operation, and the control of variable speed equipment. We will also look at strategies for diagnosing improper operation of Building Automation Systems using graphics from these systems, trend data and data from loggers. We will emphasize the control strategies required in Title 24 and include material on how to approach specific control strategies as part of retro-commissioning projects. David presents the NMEC Procedures Manual he authored for an SCE emerging technology project. The manual serves as a guide to ensure M&V for NMEC projects are conducted in a consistent fashion. Lincoln presents ways that analytics can bring legacy control systems into the future. The performance of a building is highly influenced by the quality of the controls infrastructure being utilized. Naturally, older systems still relying on legacy control systems are more prone to performance degradation than those with more modern controls. Typically, this is because the root causes of system faults are not fully resolved due to the rising cost of supporting older generations of system components and the inability for multiple vendors to exist on the same system. However, while maintenance costs may be rising, with spare parts becoming scarce and expensive, true maintenance savings alone is usually not enough to justify the capital investment involved with upgrading an entire control system. Benchmarking against other buildings is the first step in any efficiency program. It tells us where we stand, provides a baseline against which to gauge progress, helps us prioritize attention and identify opportunities, and is an excellent catalyst for the conversations that drive improvement. This session demonstrates the smart ways to use lab benchmarking data and introduces the new lab benchmarking portal being developed at I2SL as part of the DOE Lab Accelerator Program. 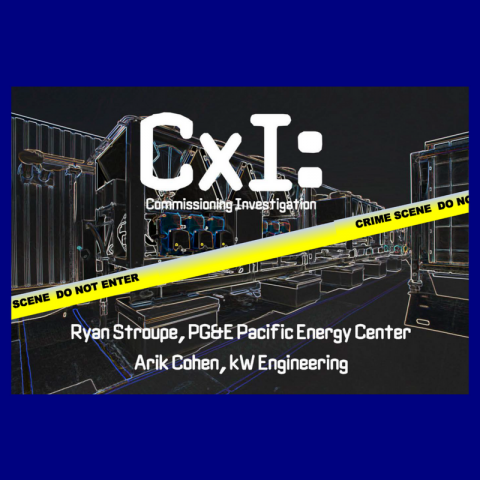 This interactive presentation (and play on the popular CSI TV franchise) works directly with the audience to approach existing building commissioning (EBCx) from a forensics perspective. Using photographs, screen captures from control systems, trend data and other investigative tools, the panelists for this session reveal crimes of energy waste and dysfunctional operation. For each situation the speakers provide the data used to identify the issue, and then ask the audience “solve the case”. The session begins with an introduction to the building forensic tools available to commissioning providers, including site observation, building performance data, control system graphics, and functional test results. The presenters also provide notes on best practices for each of the forensic tools listed. In the not too distant past, new building commissioning concentrated at individual equipment, with less focus on the systems as a whole (i.e. 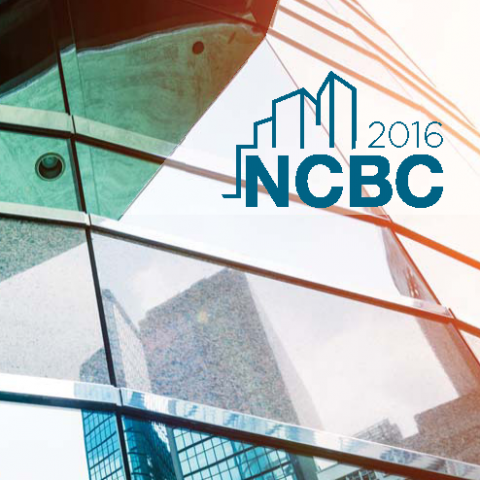 whole building commissioning – remember last year’s conference?). Existing Building and Retro-commissioning look at building performance in order to understand how to make the building operate well and save energy in the future. In the present, design engineers are trying to use advanced control sequences, but are still looking at the individual equipment. Facilities engineers, pressed to their breaking point, are applying overrides – sometimes reactive, other times proactive – to achieve thermal comfort for the building occupants. 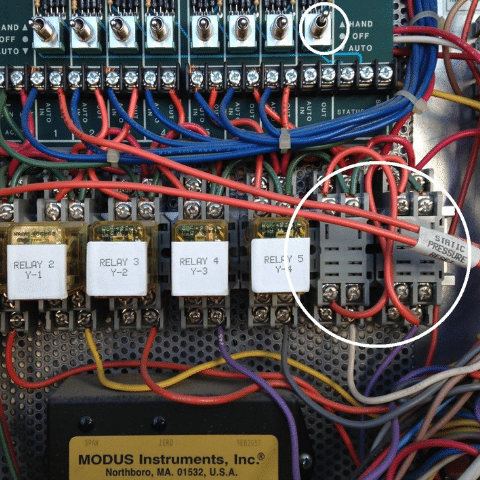 The result of these overrides can help or hurt the operation. Commissioning providers can work together with design and facilities engineers to prevent and solve system-wide problems in central plants. Doing so will lead to happier occupants, less work for the facilities engineer, less wear and tear on equipment, and in some cases even generate enough savings to pay for a new control system! Come to this presentation to find out why, when it comes to central plants, commissioning providers must think in terms of systems. Also learn about how overrides can be a double-edged sword by either removing an unnecessary, energy intensive operating condition or sending the central plant into a death spiral. Occupancy based demand control ventilation is becoming the way to save energy in advanced buildings. 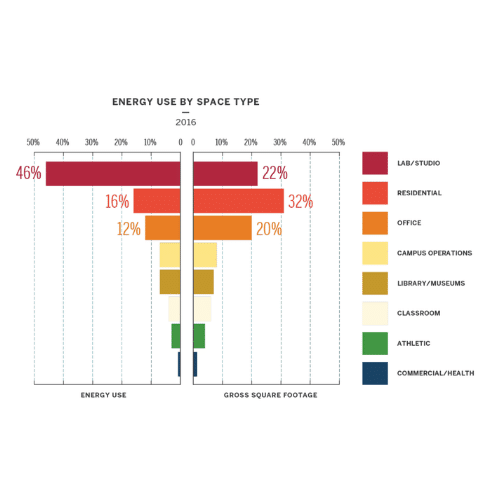 In the past, carbon dioxide was used as a proxy for occupancy and driver for ventilation, but with the ubiquity of lighting controls, especially with recent code mandates, occupancy sensors are being used more and more. But just because you can use them doesn’t mean it’s the right thing to do. This joint discussion between Gomes, a commissioning provider, and Lewis, a representative of the UC Davis Facilities Management Energy Conservation Office, includes examples of the challenges and complexities encountered and solutions based on their real-world experience implementing advanced lighting controls projects and integrating them into their HVAC control systems. 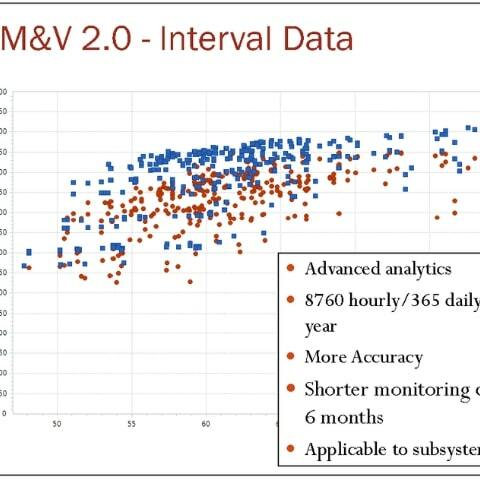 A meter-based M&V approach can aid utilities in meeting increased targets for energy savings, and quantifying savings more rigorously. 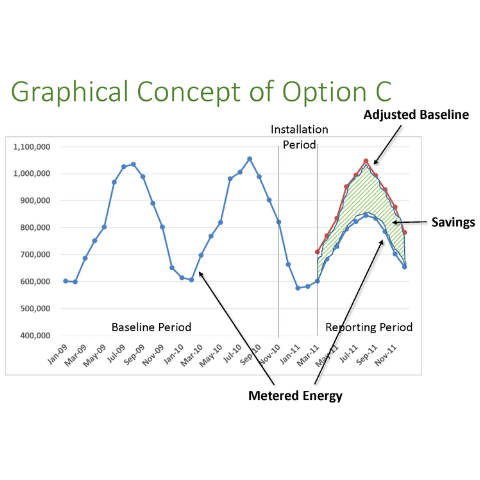 In 2015, California adopted legislation (Senate Bill 350 and Assembly Bill 802), to pursue deep, reliable, and lasting energy savings by authorizing efficiency program administrators to quantify gross energy savings using a normalized metered energy consumption (NMEC) approach, with an existing conditions baseline. 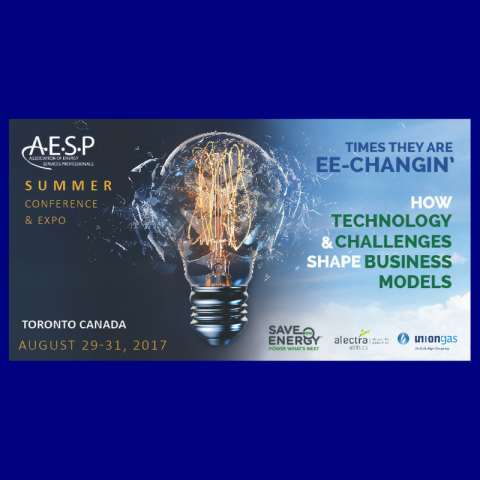 While this approach aligns the accounting of energy savings with a customer’s expectations, it is not without risk. Learn the technical risks associated with the applicability and accuracy of the meter-based savings methodology, and how it informs program designs to assure program success. 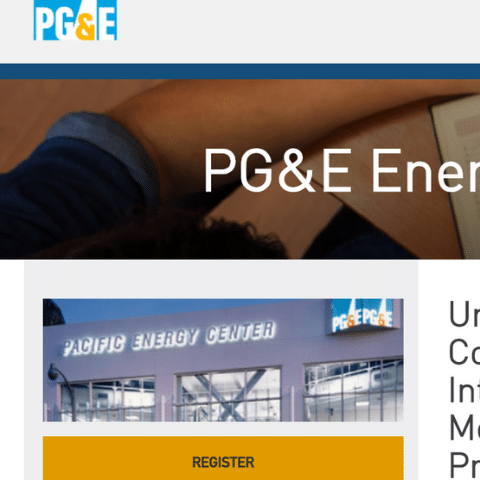 In response to the legislation, a major Southern California gas program administrator is developing a program that targets gas, electricity, and water resources for commercial restaurants in its service territory. 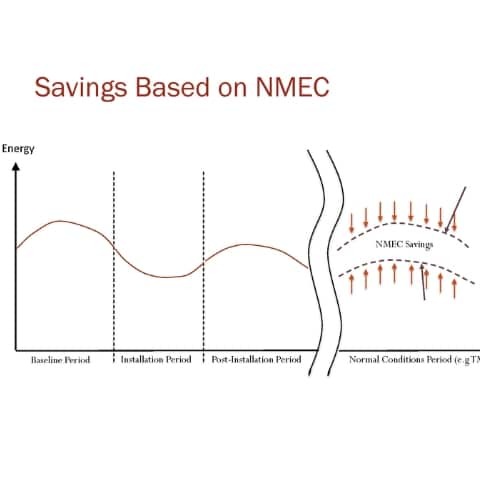 The program proposes to quantify normalized savings using a NMEC methodology, which requires modelling of energy use with weather and other independent variables. 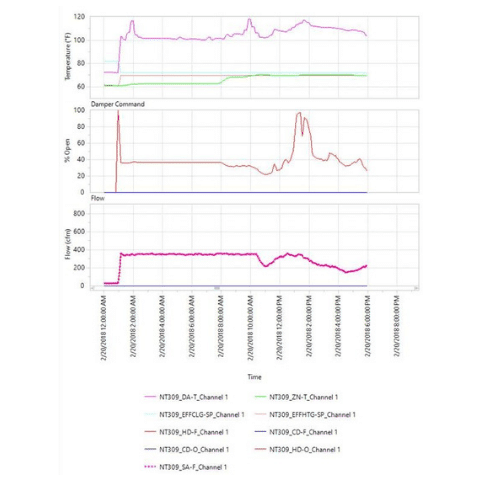 Key questions concerning the applicability of models to restaurants arise: can the restaurant’s energy use patterns be modeled, and are the modeling algorithms appropriate for the restaurants? Amy presented the results of an in-depth analysis of natural gas energy use in restaurants that have participated in recent past energy efficiency programs. We collected baseline and post-installation monthly gas data for over 400 restaurants, applied a set of piecewise linear regression models, and determined the accuracy of each model for the population. The results of the GRC’s industry-leading lab benchmarking study, co-presented with Quentin Gilly of Harvard University. As our energy management practices turn toward deep energy savings projects, continuous energy management programs, and sustainability practices, there is more interest in and use of data from advanced metering systems. 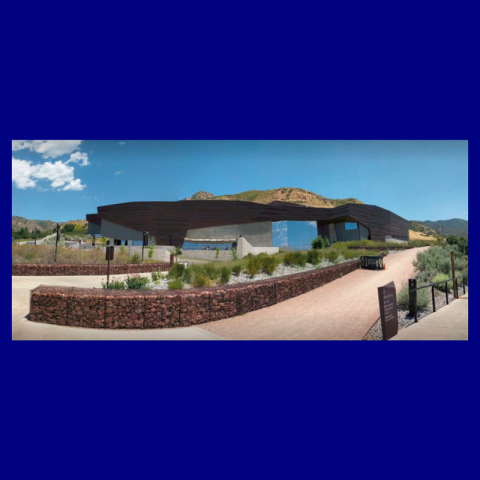 The short time interval data from these systems provides rapid feedback on a building’s or system’s energy performance, and advanced analytic methods enable more accurate accounting of savings. However the industry is realizing that the analytic methods are more complex and less understood and may act as barriers to their application by most stakeholders. This presentation will clarify the process and requirements in applying “M&V 2.0” to a project, discuss common issues, identify useful tools, and demonstrate its benefits in case studies. Lighting control systems operate in a highly proprietary environment, making interoperability impossible between manufacturers and stymying “or equal” substitutions. Little can be done to remedy poor design or application of lighting controls, so design must involve an integrated, preventive approach across all building systems. A knowledgeable commissioning provider can coordinate this effort. 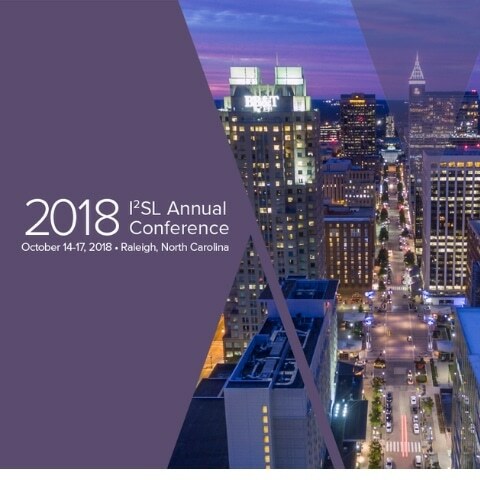 Learn how the commissioning process bolsters and supports successful lighting control system design, installation, and operation. 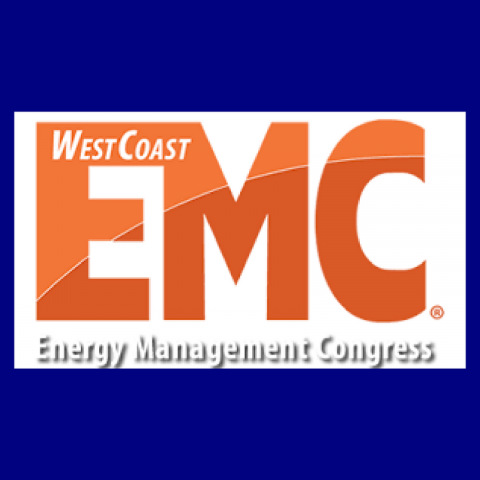 EMC is the largest energy conference and technology expo on the West Coast. As part of Track 2, High Performance & Green Buildings, David presented on M&V 2.0: A User’s Guide for the Latest Release. He clarified the process and requirements in applying “M&V 2.0” to a project, discussed common issues, and demonstrated its benefits in case studies. 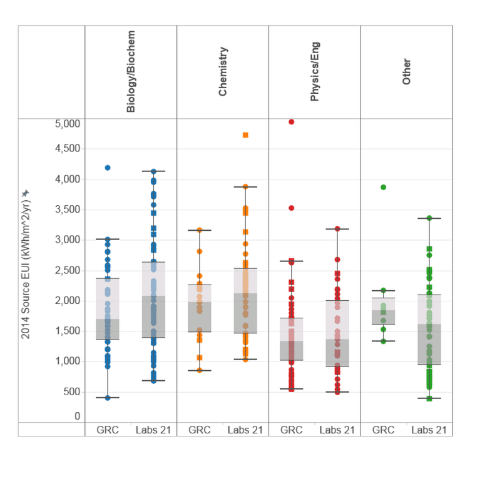 The results of the Boston area lab benchmarking study in SI units, with a discussion of the broader implications for the lab industry. Understand key risks in energy savings performance projects. Understand the four M&V Options, level of rigor, best applications. 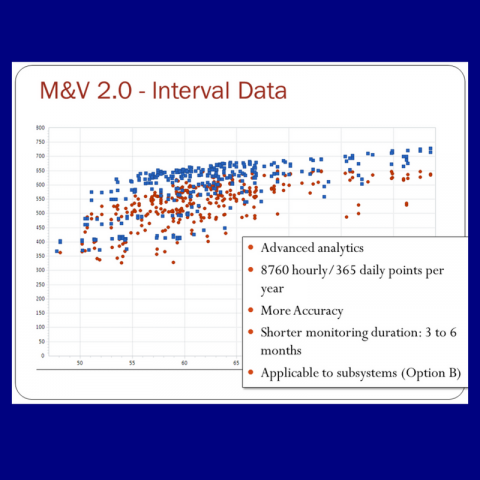 Define M&V 2.0 concepts and applications. Understand advantages over traditional M&V methods. 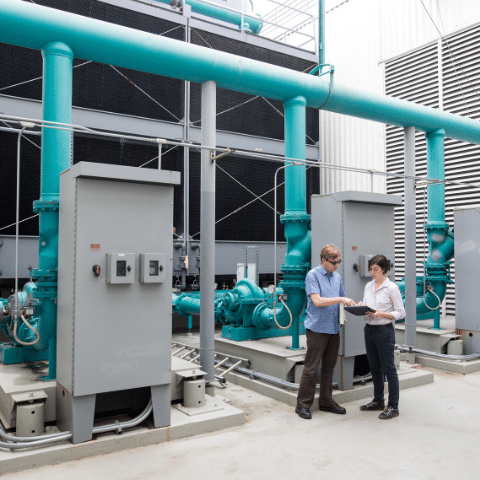 Commissioning providers can usually count on finding a sequence of operation for the HVAC system. Sequences for the lighting design are usually missing or incomplete. This presentation focuses on lighting sequences of operation during design, construction, and commissioning. It looks at how the sequence is set up in the OPR, how it moves through the basis of design and drawings/specifications, the challenges contractors face when trying to program lighting systems, and the CxP’s role in making sure the sequences are present, implementable, and maintainable. 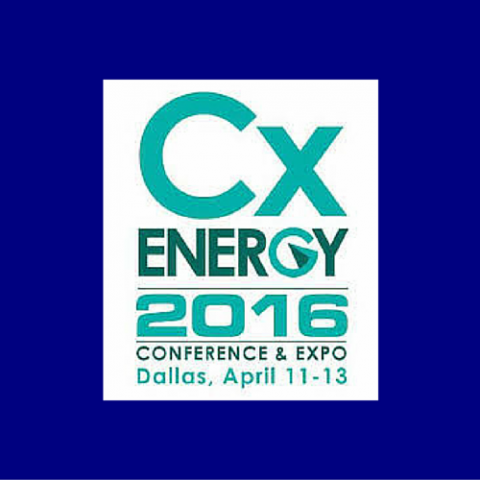 At the CxEnergy 2016 Conference and Expo from April 11-13, Jim Kelsey presented on Standard 211P. This standard will change the way that ASHRAE defines Level 1, 2 and 3 energy audits, including energy auditor qualifications and options for online audit delivery and data exchange formats. Jim, the chairman of the committee developing the standard, provided vital insight for energy auditors and those with plans to hire one. A pre-conference training session on effective use of the Labs21 tool. Lighting and lighting controls have changed at a lighting pace over the past 5 years. 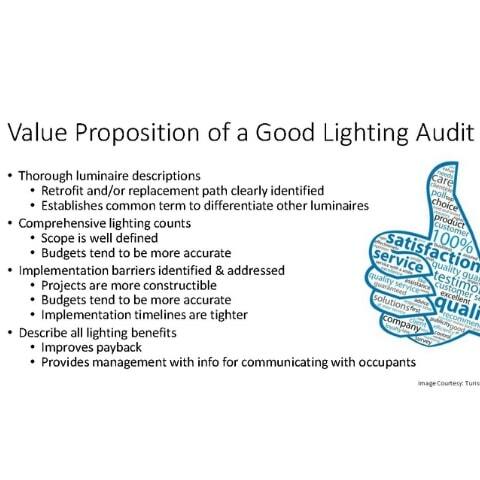 This presentation describes leading dos and don’ts for lighting design and lighting controls commissioning for new construction and existing buildings. 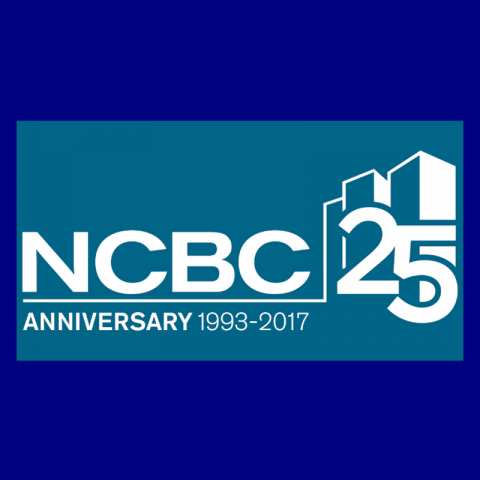 It describes the importance of setting up the project for success with the OPR, BOD, and Title 24 NRCC forms. It goes through the basics of creating a sequence of operations with examples, including a section on demand response. Resources to additional presentations are given at the end. 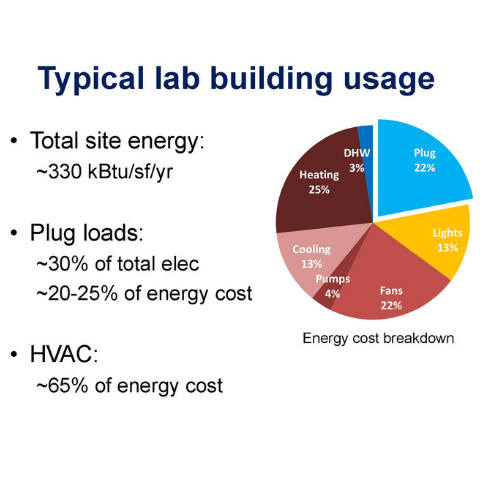 A look at the HVAC energy impacts of reducing plug loads in different types of lab environments, with particular focus on high-efficiency ultra-low temperature freezers in California. A roundtable discussion session (co-chaired with Matt Gudorf of UCI) on the needs and priorities of lab PIs and successful strategies for engaging scientists and gaining support for energy efficiency projects. 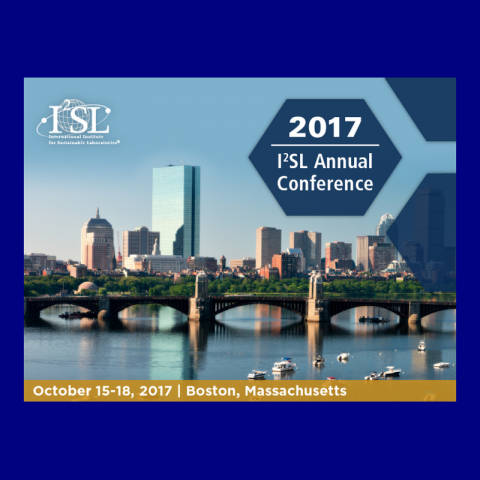 A whitepaper is available via the I2SL website ($35 for non-members). Many schools are finding it difficult to deliver the value promised by Prop 39 funding. Regulatory hurdles are high, filing requirements can be difficult, and it’s hard for districts to sort out whether vendors are presenting measures that will help save energy, or just help spend the money. In this session we help you sort the wheat from the chaff. 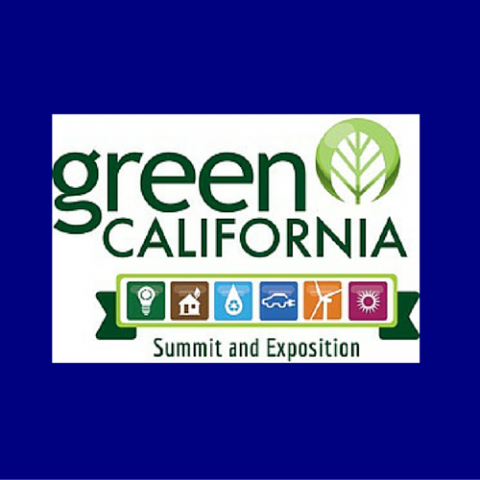 Jim Kelsey, P.E., a nationally recognized expert on energy efficiency, will provide insights into which strategies result in real cost savings to schools, what energy efficiency measures are safe, sound and reliable, and what snake oil smells like. 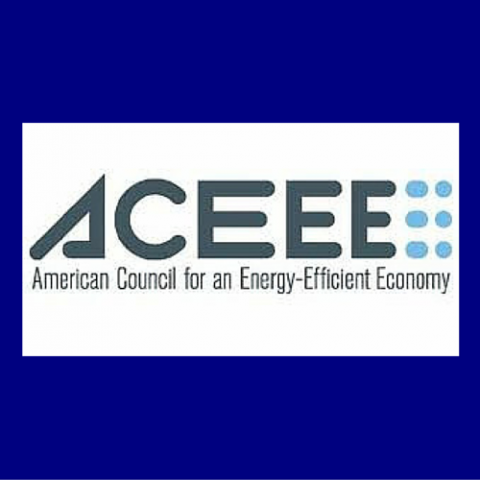 kW Engineering presented this paper written by James Donson (lead author), Bruce Chamberlain (co-author) and Jon Schoenfeld (co-author) at this year’s ACEE Summer Study. This paper identifies and describes the potential non-lighting energy and operational benefits associated with advanced lighting controls (ALCs) and provides decision makers with a justification to specify integrated building systems. 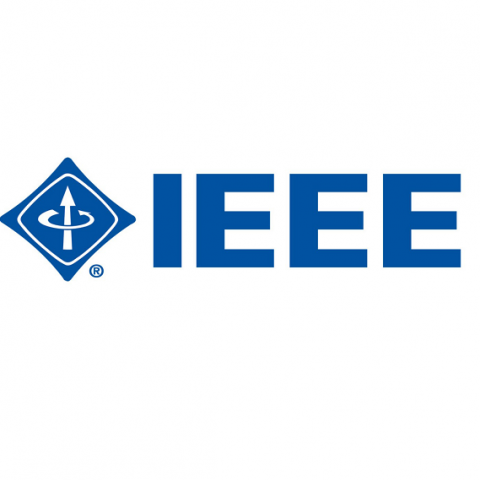 The authors include a discussion of ALC system network topologies and associated, enabled lighting efficiency measures. The paper will provides an in-depth analysis of control strategies that provide non-lighting energy savings in new construction and existing buildings applications. Through his experience as Chair of ASHRAE’s proposed Standard for Commercial Building Energy Audits, Jim Kelsey has had unique exposure to nation-wide perspectives on what energy audits should be for utilities, program administrators, and end-users’ multiple internal stakeholders. Energy audits have become common practice, but there is wide variation in qualifications and deliverables. 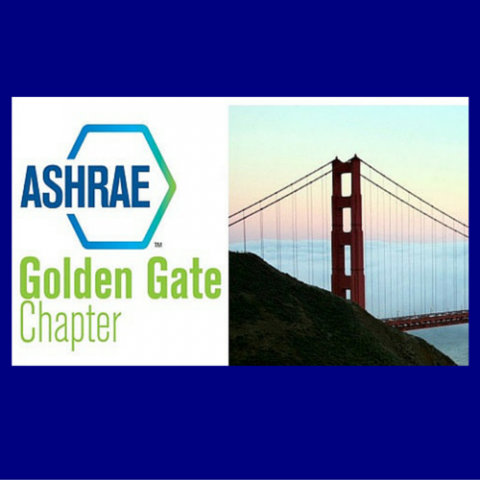 Jim covered trends that challenge the development of a credible energy assessment industry, guidelines for the often misinterpreted ASHRAE Audit levels, best practices for auditors, and how software is changing the landscape for data collection, analysis and reporting results.